Hi there, i'm having a bit of trouble with the date tool as it is displaying each of the boxes (day, month, year) underneath each other rather than as it's shown on the form builder page. it may be me but I don't know how to change it? 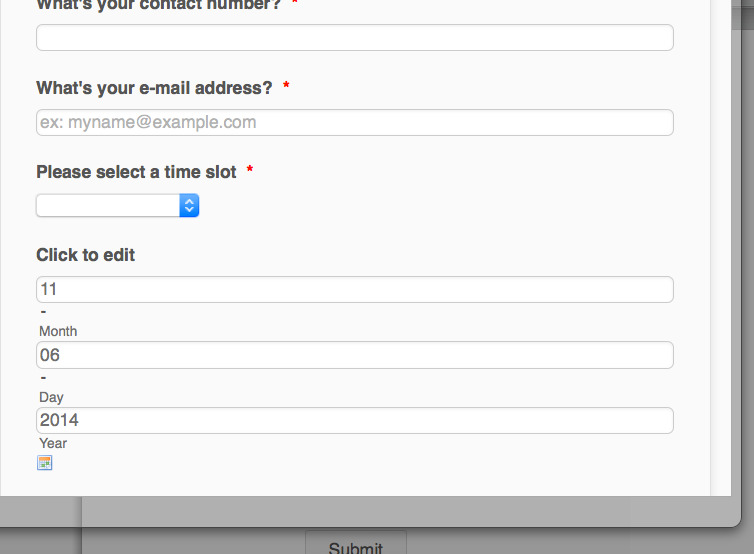 It's actually doing the same with the name boxes as they are two boxes side by side now shown one under the other? We are not able to see the screenshot you have included in your message. So, we are not able to visualize the issue. Can you please retry uploading again the screenshot when you reply. Follow this guide on how to include images in your message. 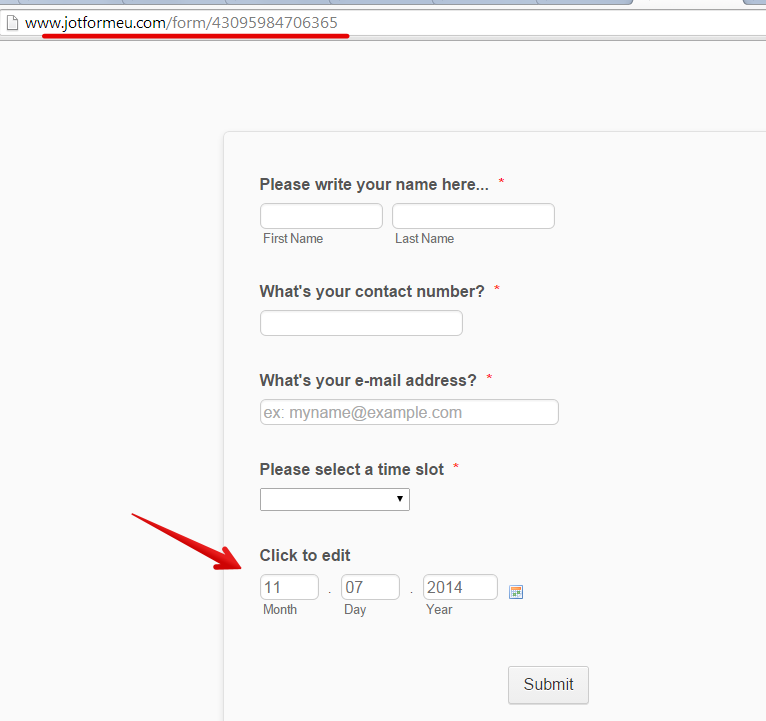 If you can tell us also which of your jotform you are having the issue, we will check the form.